29 associations representing 99 percent of total UCITS and AIF assets provided EFAMA with net sales data. Net inflows into UCITS and AIF totaled EUR 95 billion, compared to EUR 83 billion in April. UCITS registered net inflows of EUR 62 billion, down from EUR 78 billion in April. Long-term UCITS (UCITS excluding money market funds) recorded net sales of EUR 62 billion, compared to EUR 58 billion in April. Net sales of equity funds totaled EUR 13 billion, the same as in April. Net sales of bond funds totaled EUR 30 billion, up from 26 billion in April. Net sales of multi-asset funds totaled EUR 17 billion, up from EUR 15 billion in April. AIF recorded net sales of EUR 33 billion, up from EUR 5 billion in April. Total net assets of UCITS and AIFs totaled EUR 15,065 billion at end May, compared to EUR 15,008 at end April and EUR 14,141 billion at end 2016. 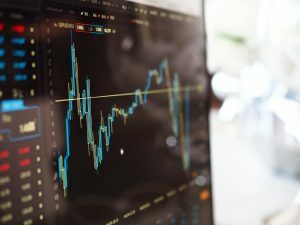 The demand for long-term UCITS and AIF continued to increase in May, in an environment of strengthening economic growth and reduced political uncertainty in Europe following the election of President Macron. EFAMA’s latest International Statistical Release regarding the developments in the worldwide investment fund industry during the first quarter of 2017. Investment fund assets worldwide increased by 4.6 percent to EUR 43.19 trillion at end Q1 2017. In U.S. dollar terms, worldwide investment fund assets increased 6.0 percent to stand at USD 46.17 trillion at end Q1 2017. Net cash inflows into funds worldwide increased to EUR 605 billion, up from EUR 388 billion in the fourth quarter of 2016. Un numar de 29 de asociatii reprezentand 99% din total au furnizat EFAMA date privind vanzarile nete si activele OPCVM si FIA ​​. Vanzarile nete inregistrate de OPCVM-uri si FIA au totalizat 99 de miliarde EUR, fata de 69 de miliarde EUR in februarie. Segmentul OPCVM a inregistrat vanzari nete de 87 miliarde EUR, in crestere fata de cele 45 de miliarde EUR din luna februarie. Segmentul OPCVM pe termen lung (fondurile OPCVM, exclusiv cele de piata monetara) a avut intrari nete de 60 de miliarde de euro, fata de 52 de miliarde de euro in luna februarie. Vanzari nete ale fondurilor de actiuni au scazut la 10 miliarde de euro, de la 22 miliarde de euro in luna februarie. Vanzarile nete ale fondurilor de obligatiuni au crescut la 32 de miliarde de euro in luna martie, de la cele 22 de miliarde de euro ale lunii februarie. Vanzarile nete ale fondurile diversificate au ramas la acelasi nivel ca in februarie (13 miliarde EUR). Fondurile OPCVM de piata monetara au inregistrat vanzari nete de 27 miliarde de euro, comparativ cu iesiri nete de 7 miliarde de euro in luna februarie. Segmentul FIA a inregistrat intrari nete de de 12 miliarde EUR, comparativ cu 25 miliarde EUR in februarie. Totalul activelor nete ale fondurilor europene de investitii a crescut pana la 14.856 miliarde de euro la final de martie, fata de 14.687 EUR la sfarsitul lunii februarie si 14.141 miliarde EUR la sfarsitul anului 2016. Tendinta ascendenta a vanzarilor nete ale OPCVM-urilor a continuat in luna martie datorita fondurilor de obligatiuni, care s-au bucurat de cea mai mare cota lunara de vanzari nete, intr-un moment in care investitorii cauta sa obtina randament fara sa-si mareasca prea mult expunerea la pietele de actiuni. 28 associations representing 99 percent of total UCITS and AIF assets provided EFAMA with net sales data. Net flows into UCITS and AIF totaled EUR 92 billion, compared to EUR 32 billion in December 2016. UCITS registered net inflows of EUR 71 billion, up from EUR 22 billion in December 2016. EFAMA’s latest International Statistical Release with the worldwide investment fund industry results for the fourth quarter of 2016. Investment fund assets worldwide increased 4.8 percent during the fourth quarter of 2016 to EUR 41.29 trillion at end 2016. 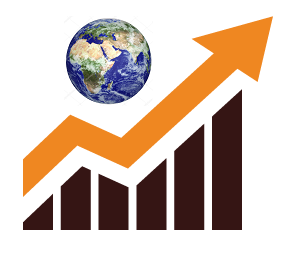 The year asset growth reached 9.9 percent. In U.S. dollar terms, worldwide investment fund assets totaled USD 43.53 trillion at end 2016. 2016 was another record year for the European investment fund industry, with net assets of European investment funds rising to an all-time high of EUR 14,142 billion and net sales of AIF reaching an all-time high of EUR 184 billion. Despite multiple adverse shocks, the net sales of UCITS remained largely positive in 2016. 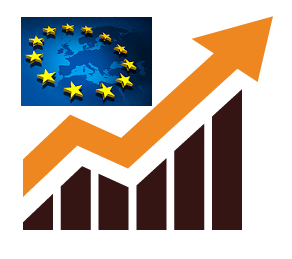 Investment fund assets in Europe increased by 6.1 percent to EUR 14,142 billion. 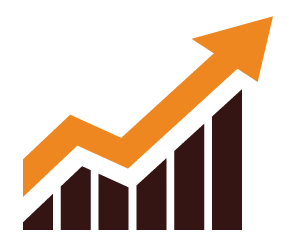 Overall, net assets of UCITS increased by 5.5 percent to EUR 8,658 billion. Net assets of AIF increased by 7.0 percent to EUR 5,483 billion. 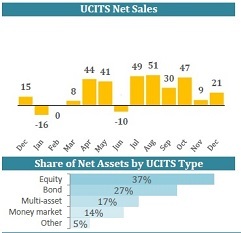 29 associations representing more than 99 percent of total UCITS and AIF assets at end December 2016 provided us with net sales and/or net assets data. UCITS registered net sales of EUR 21 billion in December, compared to EUR 9 billion in November. Activele nete ale celor 189 de fonduri deschise si inchise (locale si straine) distribuite in Romania au crescut cu 1,3% in luna ianuarie, pana la 25,3 mld RON (5,62 mld.€), inregistrand un avans de 1,3% in anul 2017. Intrarile nete ale lunii au fost de 323,9 mil. RON (72 mil. EUR).